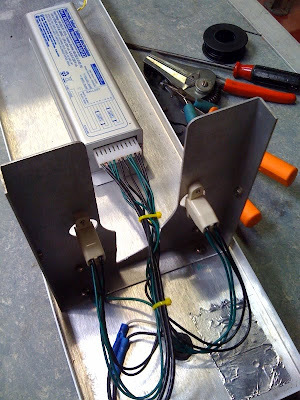 After on-again/off-again working on this wiring harness, today I finally decided to just start from scratch. To rebuild the harness was a fraction of the time I had dedicated to troubleshooting. A couple of things to remember for next time: solid core wire is definitely the way to go with that style of light socket and solderless crimp connectors are for suckers.